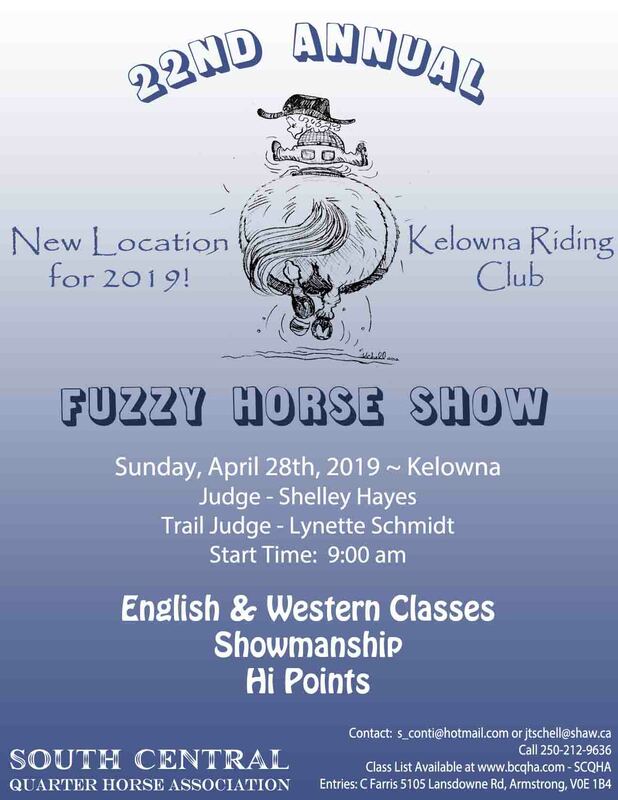 Quarter Horse Events in B.C. Thanks to some generous sponsors, we are thrilled to be offering an All Novice Show June 2nd at Langley Riders Arena. 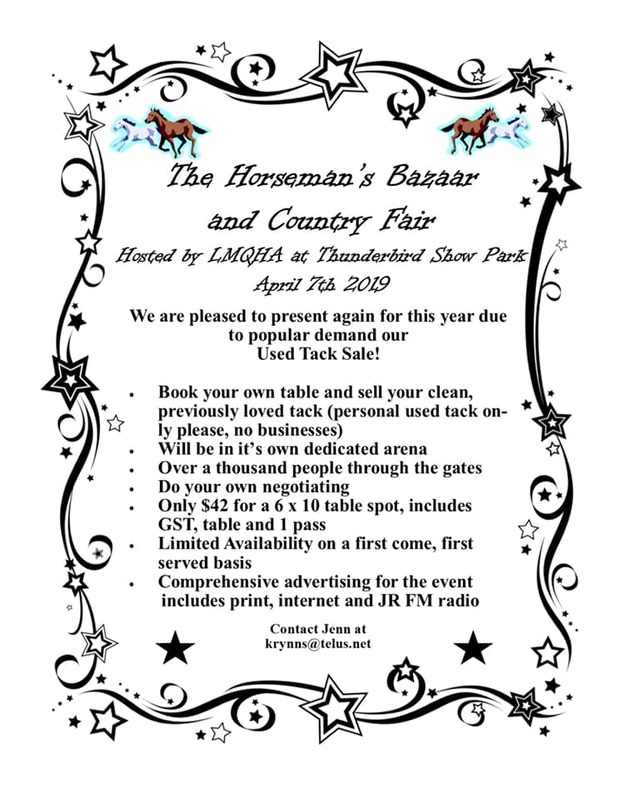 This show will have AQHA and APHA classes as well as All Breed. This is a grassroots, low key show and all are invited! Best of all, entries in all classes are FREE to BCQHA members!!! And BCQHA has a current membership promotion that is when you join, you can sponsor a new member (or individual who wasnt a member in 2018) for FREE! 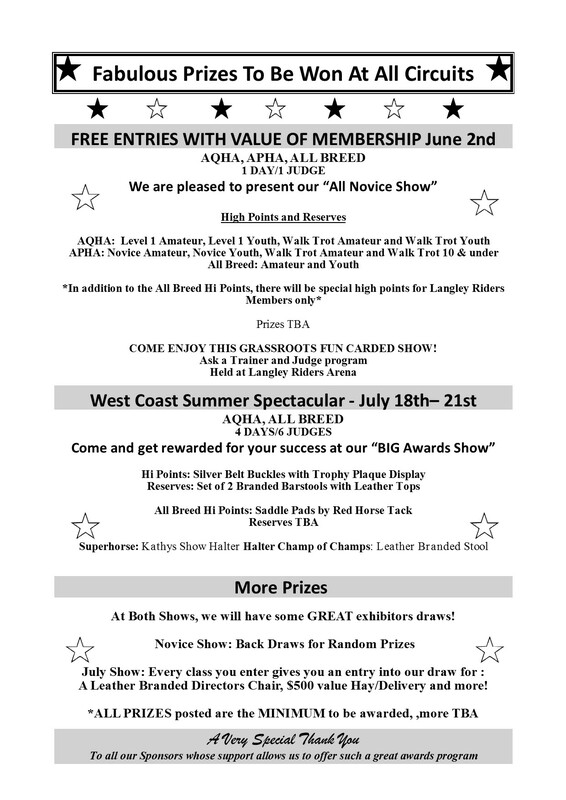 Langley Riders show the All Breed classes for free and we have special prizes exclusively for their members. Never shown breed and want to try it? Want a fun, tie your horse to the trailer and show all day type of show like the good old days? Come on out! We will have several AQHA/APHA trainers (Mellissa Buckley, Tami Hutton etc) and APHA judge Jodie Moore on hand for an ask a trainer/judge program. Not sure what a class is judged on or what it's about? Just ask, we would be happy to help!